Someone mentioned this the other day (Sensei Tim I think) and I thought it was worth reposting as some may not have seen it yet. Just a quick note, we won’t be having practice this Saturday. We have the 2nd East Side tournament. We have 5 people competing. Just a reminder that tomorrow is the first practice of 2019. Hope to see all our old members back on the mat and ready to work out. I know some of you have been keeping up with the push-ups over the break, we can do them all together tomorrow. 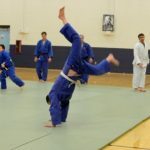 Looking forward to seeing all our old members and hopefully some new ones on the mat. Tonight will be our last practice of 2018. 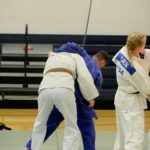 Come and enjoy enough judo to carry you through the holidays. We are going to be closed over Christmas and New Year. We will be back with a renewed intensity on Jan 7 of 2019. Hopefully see everyone this evening. If you are planning on competing on Sunday (and everyone should), we are having weigh-ins tomorrow evening. Bring your completed entry form to practice and we will have a scale to check weight. I will then submit the list of competitors and their weights. 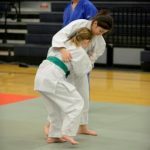 This Saturday (12/8) is the 12th annual judo holiday party for Spokane Judo. We want everyone to come. If you haven’t been at practice in a while, take this chance to get back in touch. Bring something you want to share with (or unload on (think fruit cake)) other people, just remember we are going to all be on the mat together again. 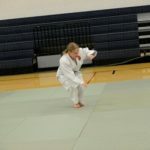 Joseki Dojo and Lakland Judo are organizing a series of tournaments for Eastern Washington/Idaho. The first of these is on December 9. Tournaments don’t get more local or convenient. I can’t stress the importance of competition enough. 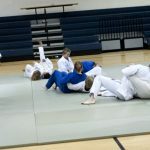 We practice with each other and learn what our club members do. This is a chance to try out what you have been learning with new people that don’t know you or your bad habits. 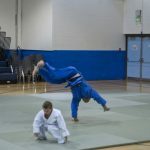 Competition makes your judo better faster. Everyone should enter. The entry form with additional info is here. The club will cover entry fees.